"Big is sometimes beautiful, and this one is big, " Beasley said. "It's my favorite of what we currently manufacture ourselves." This "Game of Thrones" sword is a whopping 57.5 inches long with a 42-inch blade. The blade serves as an homage to the "stoic, duty-bound and honorable" Ned Stark. Oh, Ned. Beasley said this weapon—King Robert's War Hammer—is Martin's favorite of anything made by Jalic Blades. "You see a lot of swords, but you don't see a lot of war hammers, " he said. "It's the only one we have in the store, and it's not for sale." According to the books, King Robert was much stronger and larger than most others on the battlefield. Even Ned Stark—who carried the above Ice Sword—could not summon the strength to wield the War Hammer. "It's high-end and the most expensive sword we sell, " Beasley said. The blade is made from high-carbon Damascus steel, noted for its distinct ripples. The sword also displays bronze-plated cast metal with faux jewels. According to the books, Lord Tywin Lannister melts down Eddard Stark's Valyrian Sword (as seen above) and has Oathkeeper, as well as a sword for King Joffrey, made from the metal. 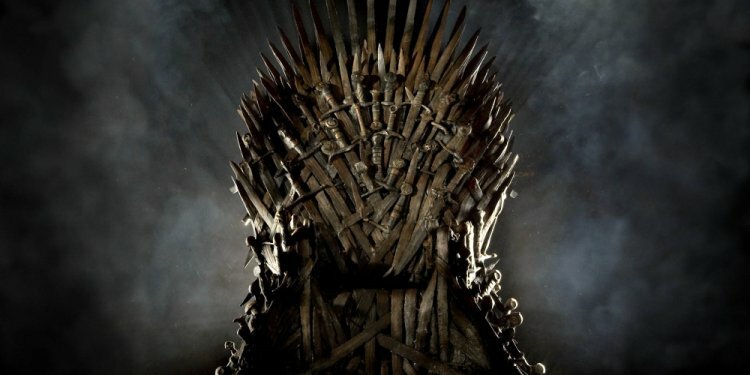 This is the most famous sword of the "Game of Thrones" series and one of the most popular items for collectors. Beasley actually made two versions of Jon Snow's sword, one based on the book series and another for the show. "We made the book version before the show existed, and it took over a year to sell them all, " he said. "Had I known [the show was coming out], I would've made more than 100 of them." The original book version is larger than the TV sword—which had to be manipulated because of actor Kit Harrington's height. According to Beasley, the original Longclaw is considered one of the rarest "GOT" collectibles in existence. Both versions can be seen below.